Nickel Alloy 200 Round Bars, Nickel 200 Spring Steel Bars, Nickel Alloy UNS N02200 Black Bars, Nickel 200 Round Bar, ASTM B160 Nickel 200 Bright Bar, Nickel Alloy UNS N02200 Round Bars, Manufacturer, Supplier, Exporter, Mumbai, India. Nickel Alloy 200 Round Bars, Nickel 200 Spring Steel Bars, Nickel Alloy UNS N02200 Black Bars Suppliers. 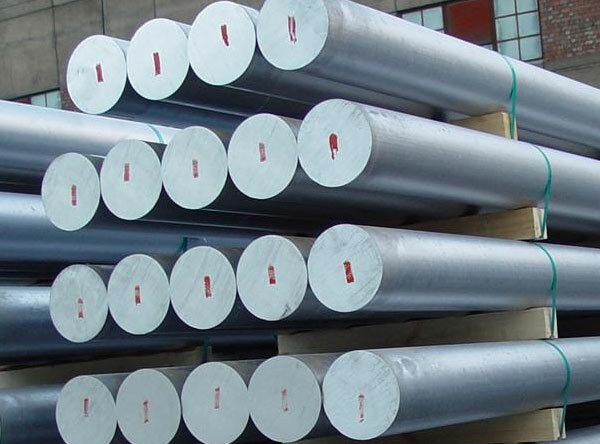 Nickel Alloy 200 Rods Manufacturer, High Nickel Alloy 200 Flat Bars, UNS N02200 Threaded Bar/Rod, Nickel Alloy 200 Bars, Nickel Alloy 200 Forged Round Bars Exporter. These are also referred as UNS N02200 Round Bars and WNR 2.4066 Round Bars. Nickel 200 Round Bars (Nickel Alloy 200 Bars) can be electroplated and are effortlessly welded, making them appropriate for use in industries where very much high and low temperatures come into drama. Nickel 200 Rods (Nickel Alloy 200 Rods) provides extremely ductile mechanical features all over an extensive temperature range. Meanwhile, we as well offer the same in customized thicknesses and sizes as per the precise requirements given by our valuable customers in international quality of standards. These properties and its chemical composition make Nickel 200 fabricatable and highly resistant to corrosive environments. Nickel 200 is useful in any environment below 600º F. It is highly resistant to corrosion by neutral and alkaline salt solutions. Nickel alloy 200 also has low corrosion rates in neutral and distilled water. This nickel alloy can be hot formed to any shape and formed cold by all methods. Calico Metal Ind Pvt Ltd Nickel 200 alloy to countries like UAE, Bahrain, Italy, Indonesia, Malaysia, United States, Mexico, Chine, Brazil, Peru, Nigeria, Kuwait, Jordan, Dubai, Thailand (Bangkok), Venezuela, Iran, Germany, UK, Canada, Russia, Turkey, Australia, New Zealand, Sri Lanka, Vietnam, South Africa, Kazakhstan & Saudi Arabia.